August Petersen, MPA, CPA, is the president of August Petersen Consulting. He has been a senior officer, board member, investor, and consultant to private and publicly held business ventures for over 25 years. 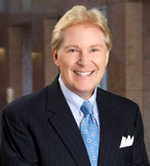 In addition, he has served as an adjunct professor at the University of Texas (UT), where he has taught more than 160 undergraduate and MBA courses in accounting, finance, real estate, and strategic management. He has also served on the faculties of UT’s Institute of Commercial Capitalism and UT’s School of Engineering where he developed and taught courses on entrepreneurship, technology commercialization, and financial management. A licensed CPA and commercial real estate broker, August has lectured at state, national, and international professional conferences—including Western CPE conferences—and is a nationally recognized speaker on both financial reporting and strategic management topics. For 10 years, August served as the national chairman and featured speaker for a series of financial reporting conferences for technology companies. He also created and taught a series of successful executive development courses teaching executives and owners how to strategically manage their organizations in today’s uncertain times and increasingly global economy. August’s first professional position after graduating from East Central University in Oklahoma was with the international public accounting firm Arthur Andersen in Hartford. August later moved to Austin to attend the University of Texas and earned his Master of Professional Accountancy degree with highest honors. Upon completing his master’s, he joined the international accounting firm Touche Ross. He left public accounting to become a founding partner of the Watson Group, a Texas partnership that became the largest diversified real estate firm in Austin. Over a 10-year period, August had senior management responsibilities for over 50 real estate business entities, development projects, and investment properties, the scope of which exceeded $500 million. August later became the managing partner of Petersen-Watson Interests to focus on long-term land investment and development opportunities. He remains an active real estate and technology investor while serving on several corporate advisory and governing boards.